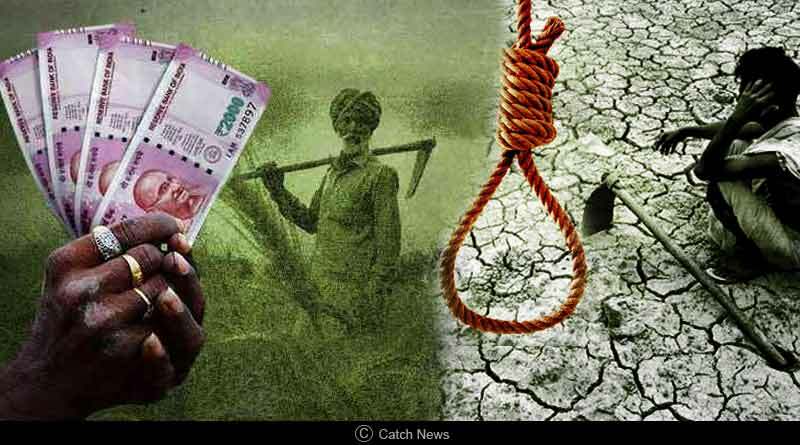 Here is out take on Farmer Loan waiver and Farmer Suicide in India. With 2019 Prime Minister election around the corner, the political parties have once again started their manoeuvring to gain their vote bank and make a hype out of common issues that have been prevalent in the country for decades now. They touch upon the sensitive topics related to marginalized sections of society and brainwash the weak to manipulate and provide them with short-term bait. Let’s take the example of the issue regarding farmer suicide, farmer loans and farmer loan waiver that has been recently proposed by Indian National Congress Party in Madhya Pradesh. Such initiatives might appear to be resolving the issue on the surface but in truth, these freebies curb the empowerment of the weak and stunt their growth opportunities. Such facilities when given repeatedly and too easily get undervalued and set an undue expectation among the common citizens, which causes them to seek for such facilities more and a huge expectation from the Government builds up. The case might differ from people to people, communities to communities but the base problem remains the same. Given below is another report by rediff.com that tells us about the six most debt-ridden states, and how even after waving off loans they are still under the debt-ridden category. The top three debt-ridden states are Uttar Pradesh, Maharashtra, and West Bengal. Another research paper says that the rate of consumption of food items and non-food items between the rural and the urban population isn’t huge, which means that the people in the rural area have a lifestyle if not as good but close to an average resident of the urban area. But, the rural population still needs loans and is not even in a state to pay it back, which clearly means that there is some vital data missing regarding the actual ground reality of the farmers. The Government should work upon finding those loopholes, find out the actual reasons for the requirement of the loan and then the causes of default on the case to case basis. It further needs to be investigated whether there are/were any other reasons which led to suicide etc. When such loans are waived off repeatedly, even the capable farmers tend to seek a waiver and wait for another loan to buy non-essential goods. As of now, approximately 4.8 crore farmers have taken loans and an average loan per farming family is INR 47,000. There should be more state funds available to buy farm produce. Traders should be allowed to hold more stock. MSP should be declared considering all risks and externalities. There have also been facilities provided by the government, like Crop Insurance, which should have solved the issue of the farmers, but it seems that either this facility is not applied yet or the process and formalities to avail the insurance is long and unapproachable by the poor farmers. This topic shall be subject to our next article. More funds must be ploughed into the development of Infrastructure, for example, roads, transport network, cold storage, warehousing, crop collection points etc. be provided by states. The Government should further ensure that maximum farm produce gives monetary reforms to farmers. Presently, almost 50% of fruits and vegetable produced go waste at multiple stages between the harvests to sales points. The government should promote on priority setting up and development of proper facilities to handle/manage/export these items.